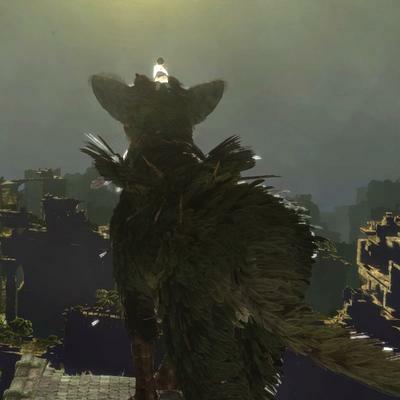 GameStop and Sony Disagree on The Last Guardian's "Cancellation"
Throughout the entirety of Fumito Ueda's rumored and then confirmed departure from Team Ico and Sony, the fate of The Last Guardian was never thrown into question. Along each point in the process, both Sony and Ueda insisted that The Last Guardian will, in fact, be completed by Team Ico and Ueda on a contract basis. Despite that, GameStop has elected to tell pre-orderers that The Last Guardian has been cancelled. Furthermore, as employees have indicated to press outlets like Joystiq, The Last Guardian has been completely removed from the GameStop "coming soon" list. That's where the retailer stands. Sony, on the other hand, has a completely different tale to tell. Patrick Seybold, Sony's Senior Director of Corporate Communications, has told Kotaku "that is not true." As the gaming blog indicates, the publisher really couldn't get too much clearer than that. We're not sure, then, why GameStop would have removed this game from its coming soon list. Furthermore, the company has actually been calling pre-order holders with a pre-recorded message in order to tell them that the game is no longer coming. That, folks, is a lost sale. Something must have tipped the retailer off on the future of this title…whether that something was legitimate or not remains to be seen. For now, we're sticking with Sony's word on the future of this (hopefully) wonderful game. If you get a call from GameStop informing you of its cancellation, we suggest you ignore them until future notice. There are other retailers out there that will likely be willing to sell you a copy once the title drops.